Multiple Open Redirect vulnerabilities were reported Yahoo. 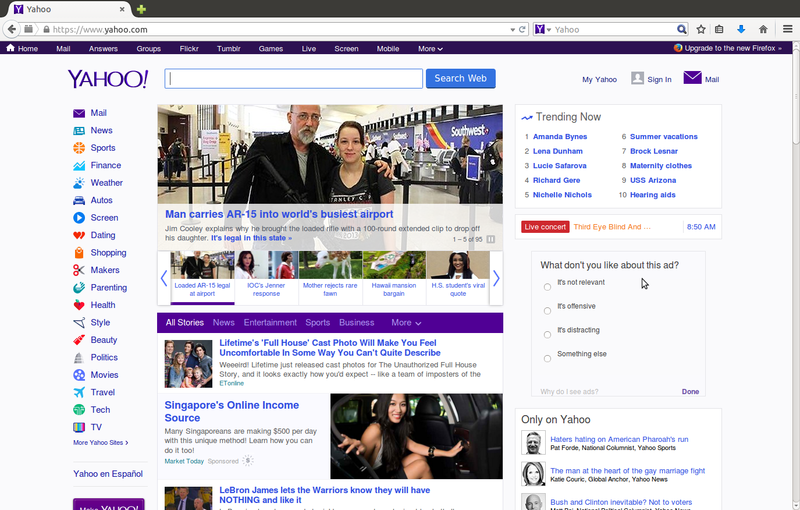 All Yahoo's responses were "It is working as designed". However, these vulnerabilities were patched later. From report of CNET, Yahoo's users were attacked by redirection vulnerabilities. "Yahoo.com visitors over the last few days may have been served with malware via the Yahoo ad network, according to Fox IT, a security firm in the Netherlands. Users visiting pages with the malicious ads were redirected to sites armed with code that exploits vulnerabilities in Java and installs a variety of different malware. " Both Yahoo and Yahoo Japan online web application has a computer cyber security bug problem. It can be exploited by Unvalidated Redirects and Forwards (URL Redirection) attacks. This could allow a user to create a specially crafted URL, that if clicked, would redirect a victim from the intended legitimate web site to an arbitrary web site of the attacker's choosing. Such attacks are useful as the crafted URL initially appear to be a web page of a trusted site. This could be leveraged to direct an unsuspecting user to a web page containing attacks that target client side software such as a web browser or document rendering programs. Use one of webpages for the following tests. The webpage address is "http://itinfotech.tumblr.com/". Suppose that this webpage is malicious.